The fourth bout of the team shokugeki begins with Erina finally taking the stage. Her opponent? The queen of cute confections, Momo Akanegakubo! But what kind of dish will the former ice queen present to combat such cuteness? Meanwhile, Isshiki and Takumi take on the council's top two members--Tsukasa and Rindo! 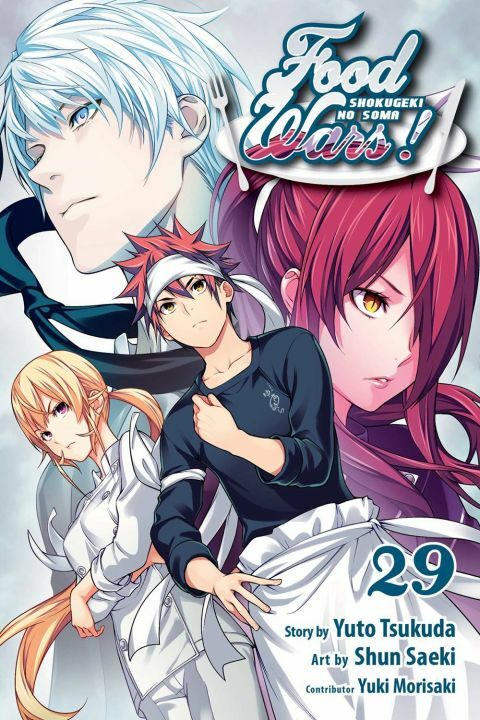 Other products for "Food Wars!" in "Books"